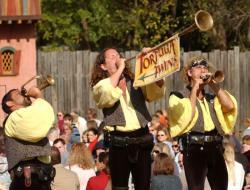 The Arizona Renaissance Festival is a medieval amusement park, 13-stage theater, 30-acre circus, an arts and crafts fair, jousting tournament and a feast -- all rolled into one non-stop, day-long family adventure! Walk through the gates to be transported back to a simpler more jovial time. Step right up! From noon to 6 p.m. Saturday, March 4, the Town of Queen Creek will transform Town Center into an enchanting circus wonderland featuring contortionists, fire breathers, live music and other circus-themed festivities. The East Valley Astronomy Club sponsors a free public star party each month at the Riparian Preserve in Gilbert. The event is scheduled on the second Friday of each month, weather permitting. The star party begins at dusk. You are encouraged to attend and observe through member&apos;s telescopes. The goats are ready for Spring Break, are you? Take your kids to flow with the kids, as many of the goats recently had offspring. These goat yoga classes are great for yogis of all levels. Saddle up for a good time! 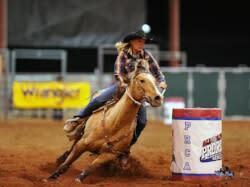 Roots N’ Boots is coming to City Limitless® March 15-19 and with that are the heart pounding events of the PRCA Rodeo. 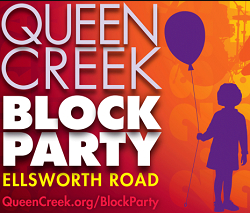 Visitors and residents alike will join to celebrate the rural history, culture, and heritage of the Town of Queen Creek. Not only can you see bull riding and barrel racing, but there will be a carnival, petting zoo, corn hole tournament, and pony rides. spark! 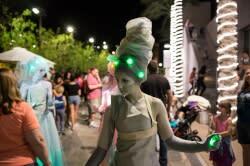 Mesa&apos;s Festival of Creativity will provide an immersive environment to celebrate the work of amazing, creative people and to discover the creative thinker inside every visitor! Held at Mesa Arts Center, there will be musical performances in an array of genres, as well as food and activities for all ages. For a detailed, 3-day itinerary including our favorite family-friendly attractions click here. We want to see all of the fun you have during Spring Break—tag your pictures with #VisitMesa and #MesaCityLimitless to share with us!